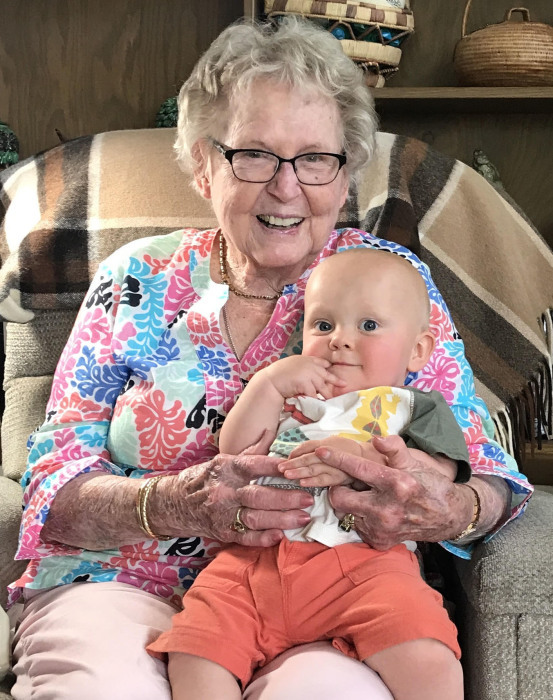 A service to celebrate the life of Gretchen Kean, 96, of Coos Bay, will be held at 1 p.m., Friday, Oct. 26, at Emmanuel Episcopal Church, 400 Highland Ave. in Coos Bay. A time of sharing and fellowship will follow the service. Gretchen Aileen Clinton was born June 20, 1922, in Marshfield, and was a deep-rooted and lifelong Oregonian. She died peacefully, in her home Aug. 13, 2018, at the age of 96. She had been surrounded by family, friends, and wonderful caregivers in her last days. She lived a full and wonderful life and will be greatly missed by family and friends. Both of her parents descended from original pioneering families. Her mother, Mabel Schroeder, was the fourth generation of the Oregon line of the Schroeder family, which was part of the "Baltimore Colony" that emigrated to Oregon in 1849. Gretchen's great-grandmother, Mary Perry, who married into the Schroeder line was the first white woman born in Oregon. Gretchen’s father, Theodore “Dutch” Clinton, came from a family who traveled overland from Missouri and became loggers in the days of ox teams. Gretchen went to first grade in a one room school house where the students wrote with quills and inkwells. Each morning they sang to their teacher, “We’re all in our places; With sunshiny faces; Good morning to you ...” Everything was smaller in those days. The Smedburg Hospital in Marshfield, where she was born, is now the home of family friends, Dr. and Mrs. Ted Terry. As a child she spent her summers in logging camps where her father was a log scaler. One summer a forest fire ran close to camp and her father fought the fire while her mother cooked for the crews. A bed was made for Gretchen and her older brother, Jack, on a rock in the middle of a shallow stream to keep them safe from the flames. She thought it was all great fun and not frightening – a prelude to the spirit she would bring to outdoor excursions with her family and travel to places all over the world. She attended high school in Coquille, where she met her future husband, Jack Laird. When they first met she was a freshman and Jack a senior. Gretchen’s parents were concerned about the age difference, but Gretchen’s older brother assured her parents that Jack was “a good guy” and wouldn’t take advantage of her. 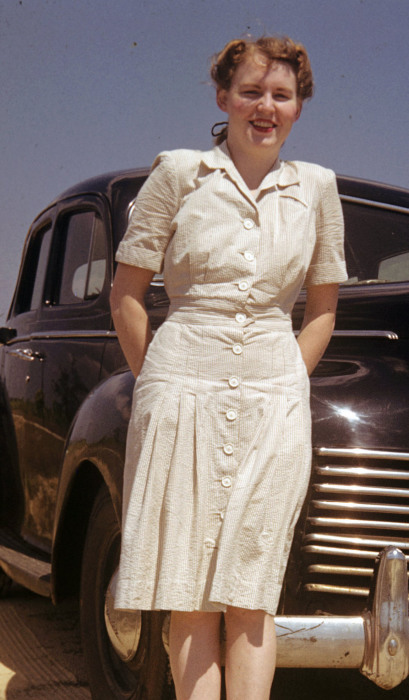 In 1941, after high school, she went to Oregon State College. She pledged Gamma Phi Beta sorority and studied science. Gretchen left college early to marry her sweetheart, Ensign Jack Laird, March 3, 1943, in the Pensacola Naval Air Station Chapel. Together they lived a rich, adventurous life, in which family and friends were central and often gathered at their home in Coos Bay. At these parties and get-togethers, Gretchen was the lively spark that the whole family coalesced around. Gretchen and Jack had six sons, David in 1945, Clint in 1946, Doug in 1948, Bruce in 1950, Andy in 1955, and George in 1957 – most of whom continue to live in Oregon and regularly come together for family events and outdoor adventures. During their years together, Jack provided his dental skills to many needy people around the world. His desire to help the helpless took them to Guatemala, Brazil, the Philippines, Peru, Hong Kong, and South Africa. Gretchen assisted with dental work and with educational programs for refugees. Sometimes their work came to them in unexpected ways. In Guatemala, they were asked to transport a pregnant woman to the hospital, only to discover that she was already far into labor. Gretchen quickly became the successful midwife in the back of the car while Jack tied off the umbilical cord with his own shoestring, the only implement he had to hand. Several of these travels were supported by the Episcopal Church, of which Gretchen was a devoted lifelong member. An accident involving a fire took Jack from Gretchen much too early in life. She later remarried to C.R. Johnson and they had many good years together before he was taken from her when he lost his struggle with Alzheimer's. Later in life, she married a longtime friend, Dr. William Kean, and together they shared the pleasures both of quiet mornings and boisterous family gatherings. Jack, C.R., and Bill marked three epochs of Gretchen's life, and though each passing brought pain and sadness, she was lucky to be able to share her life with three wonderful men whose individual qualities complemented her own. Gretchen was the deer hunter of the family - no one has yet shot a bigger buck! She had no interest in staying quietly at home. She preferred to be outside with the men, no matter that women had traditionally been excluded from hunting camps and outdoor pursuits. But community and home meant a great deal to her as well. She was instrumental in helping to create the Belloni Boys Home and for many years was the chair of the Advisory Board to the Juvenile Court. She had the longest term of any Cub Scout den mother, and was a 50 plus years member of PEO Chapter EL. She also became known as the “Cookie Queen" for making decorated Christmas cookies for her family, friends and church – a tradition she kept up for nearly 60 years. In her spare time, she played golf and tennis, and became an accomplished bridge player. The best things in her life were the things which have no measure - the love for her family above all, sharing her life with three fine men and her children, grandchildren, and great-grandchildren. God blessed her with a life full of love and happiness. She is survived by her six sons, David and Terrye Laird, Jack “Clint” and Kathy Laird, Douglas Laird and friend, Kathleen Buchanan, Bruce and Jeanne Laird, Andy and Ruth Laird, and George Laird and wife, Alina Dussort; grandchildren, Alan and wife, Heather Laird, Adam Laird, Alison (Laird) and husband, Eric Barber, Geoffrey Laird, Ashley Laird and husband, Dan Arnold, Bradley Laird and partner, Martina Rodman, Courtney Laird and husband, Aaron Root, Katie Laird and husband, Yancy Faulkner, Luke and wife, Emily Laird, Dorothy Guerrero, and Victoria Dussort; great-grandchildren, Grace, Annie, Sage, Violet and Jack; through marriage to C.R. Johnson, Kip and wife, Sue Johnson, Lex and wife, Mary Johnson, Kirk and wife, Gayline Johnson; and through marriage to Dr. William Kean, Susan (Kean) and husband, Tom Walker and David Kean; special international friends, Ursula and Gerhard Keil and their children, Micha and Leonor of Würzburg, Germany, and Victor and Cecilia Patrón and their family in Mazatlán, Mexico. Finally, her two loving caregivers, Ruthie Roberts and Wanda Church. Gretchen was preceded in death by her parents, Mabel (Schroeder) and Dutch Clinton; her brother, U.S. Navy Lieutenant Jack Clinton, who was killed in the sinking of the USS Indianapolis at the end of World War II; her first husband, Dr. Jack S. Laird; and later husbands, C.R. Johnson and Dr. William Kean. Memorial donations may be made to Emmanuel Episcopal Church, PO Box 1028, Coos Bay, OR 97420.